Every football manager comes with his very own philosophy. Some managers like their team to play possession-based football while some adopt the safety-first approach. Some managers encourage their side to go out full-throttle while some don’t mind keeping eight men inside the box. But, there are very few managers who can change systems successfully according to the demands of the game. To become a good manager, you must first become a good tactician. Tactics are not thoroughly limited to the pitch, though. Playing mind-games before the game, and pressurising officials are important aspects of the modern game. While some have mastered the art and have excelled at their respective clubs, others have failed to flourish to the same extent. In this article, we will take a look at five of the most tactically astute managers in the world right now. Sevilla needed someone inspirational to take charge in the summer when Unai Emery left for Paris Saint-Germain and they got a like for like replacement in Jorge Sampaoli. Sevilla are having an excellent season in the La Liga this time around and are doing quite well in Europe too. Sampaoli, who led Chile to two back to back Copa America titles, has made his mark on European football in style. Tactically, the Argentine is excellent, as you would expect from a manager who follows the principles of Marcelo Bielsa. The key to his success with the Chilean national team was the high-pressing and high-intensity system he deployed in a 3-5-2 formation. In general, 3-5-2 is a formation that is used to bring defensive stability, but Sampaoli’s system is quite different. It is an extremely attacking system which is a treat to watch. 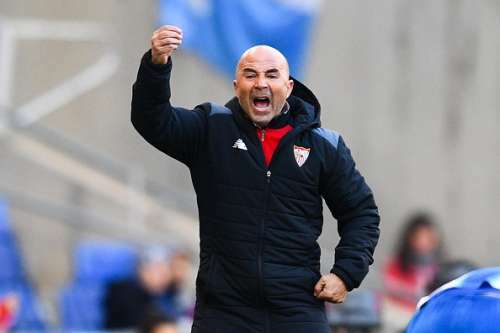 Even though Sampaoli likes his team to play 3-5-2, he is not afraid to ring the changes when needed. With an inferior team when compared to the likes of Argentina, Brazil and Uruguay, he managed to bring Chile the biggest prize in South America, something that speaks volumes of his ability as a manager. Sampaoli’s success with Chile is one of the biggest fairy tales we have seen on the international stage. The way the side played under him was quite brilliant. They looked solid defensively and could outrun, outmuscle and outpace any team in the world. The team was top-notch in the attacking sense as well. With very few world-class players in Sanchez, Vidal, and Medel available at Sampaoli’s disposal, the way he succeeded with mostly average players is quite remarkable.